As-salamu alaykum dear readers and fellow editors. 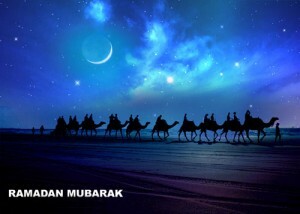 On behalf of Zawaj.com I wish you all a happy, blessed and successful Ramadan. The world needs change, and it needs hope. The world needs individuals capable of self-sacrifice, righteousness in the face of greed, compassion instead of cruelty, and love to conquer hate. Isn’t this what Ramadan is about? 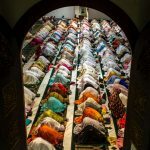 It is a time of pure connection to Allah, pure worship, and reawakening the fitrah of the heart. It is a time of softening what has become hard in us, and cleansing what has become stained. 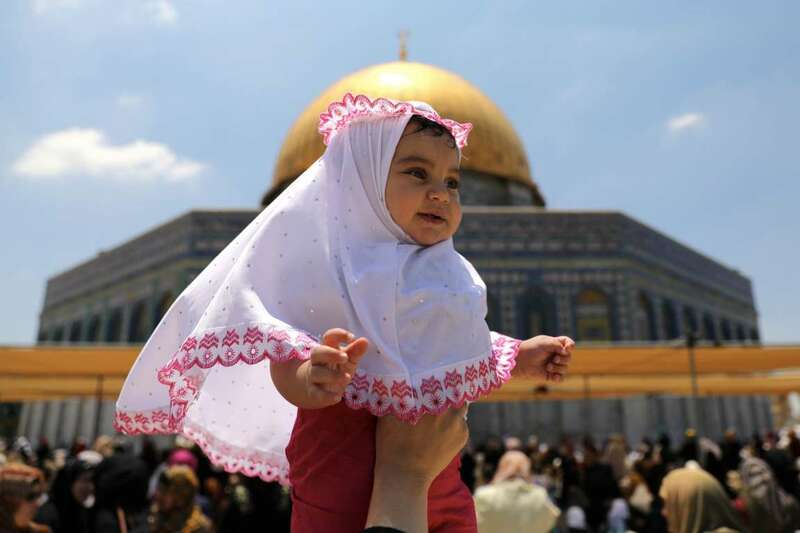 Of course we do this fee sabeel-illah – in the cause of Allah – but let us not forget also that Islam carries with it an obligation to family, to society and to the world. I challenge myself to do five things this Ramadan. 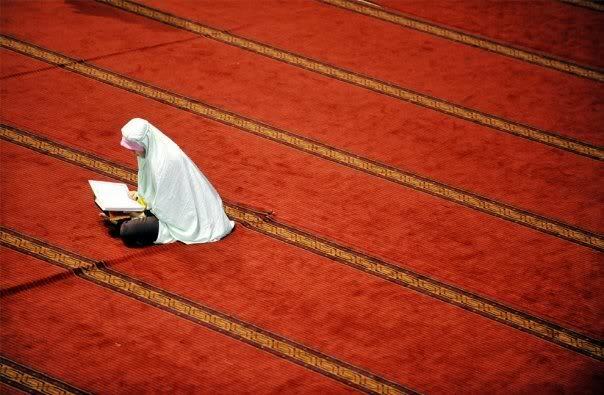 One, to strive for awareness and humility in my salat. Two, to strive for self-purification. 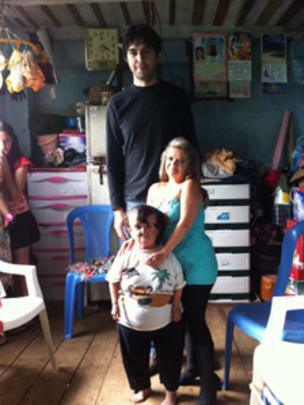 Three, to increase my love and kindness toward my family. Four, to ask forgiveness from whoever I have harmed. 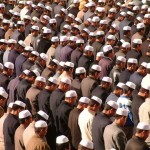 Five, to make a sacrifice (whether in money or time) for the sake of the Ummah and the world. Will you do the same? Together, Insha’Allah, we can make a difference. Oh Allah, make this Ramadan a start full of peace and faith, safety and Islam. Oh Allah, You are the Most Forgiving, so forgive us and and guide us forward. Ameen! 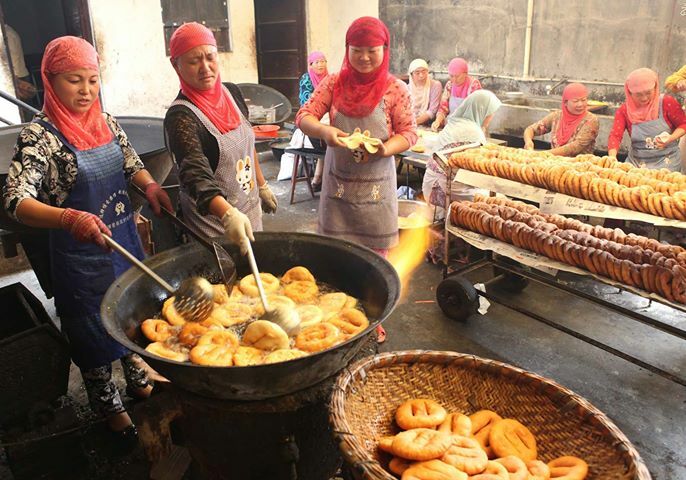 First day of Ramadan will be Thursday, June 18, 2015. 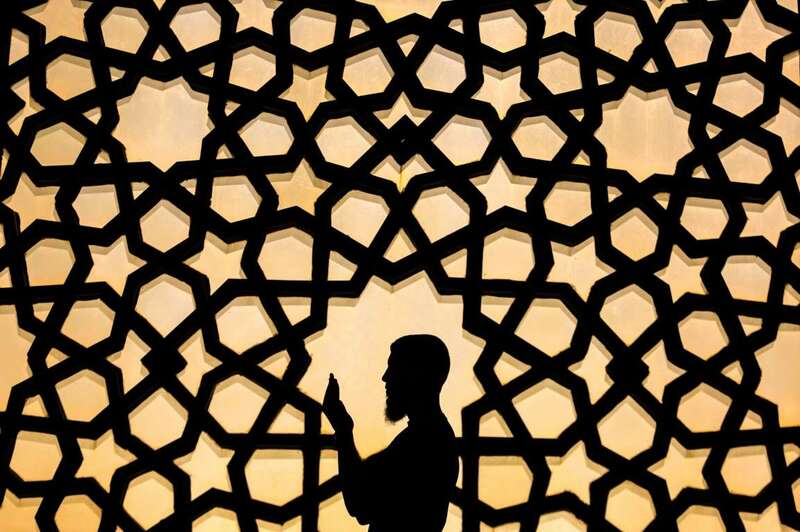 The Fiqh Council recognizes astronomical calculation as an acceptable Shar’i method for determining the beginning of lunar months including the months of Ramadan and Shawwal. FCNA uses Makkah al-Mukarrama as a conventional point and takes the position that the conjunction must take place before sunset in Makkah and moon must set after sunset in Makkah. 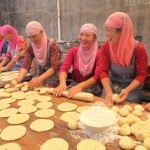 Happy Muslim women preparing Iftar. 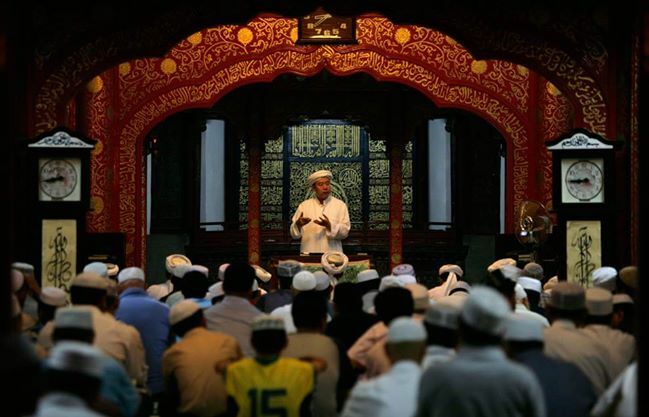 Did you know that Islam has been in China for 1,400 years? 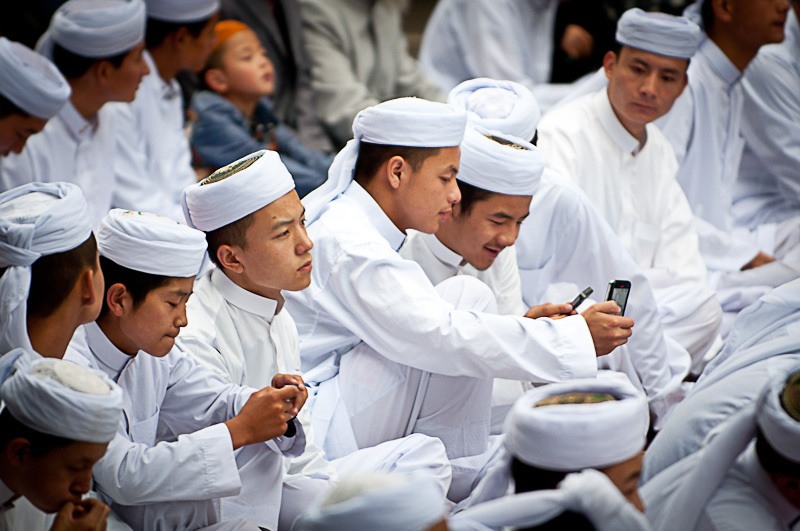 Muslims are found in every province of China and make up 2% of China’s population, or more than 20 million people. 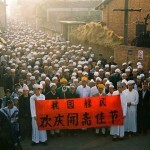 Half of China’s Muslims are Hui people, who are ethnically and linguistically similar to Han Chinese. 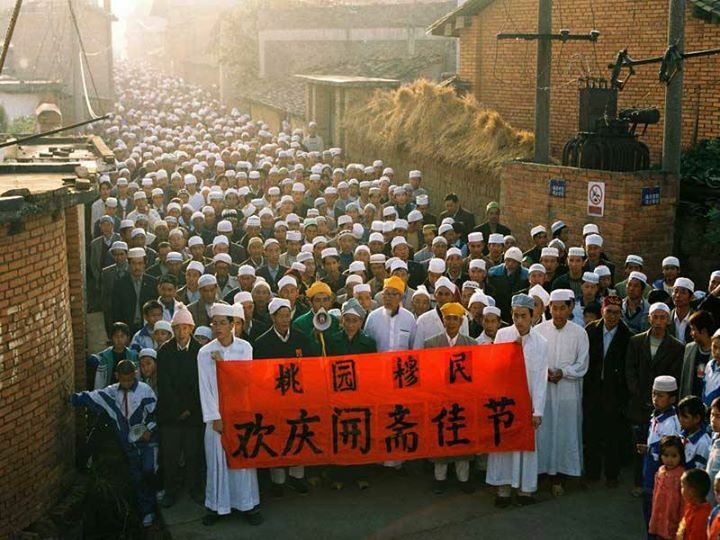 The remainder of China’s Muslims belong to minority ethnic groups in the western part of the country, called the Quran Belt. 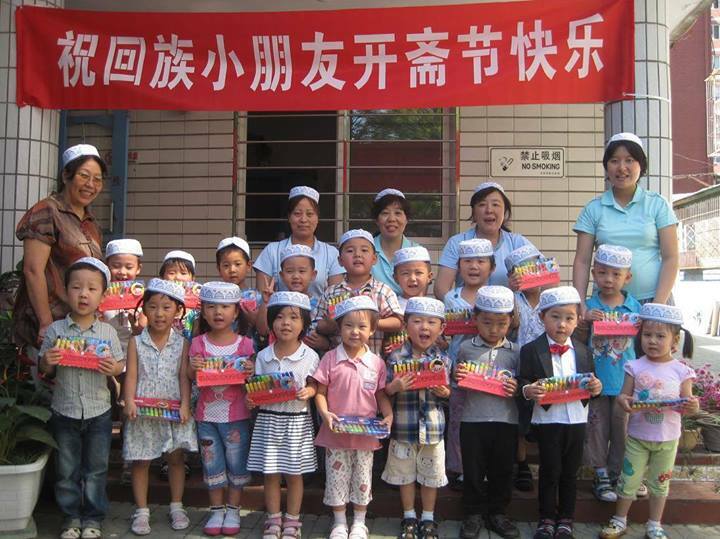 These minorities have been persecuted by the Communist government over the decades, and have fought for independence at times. 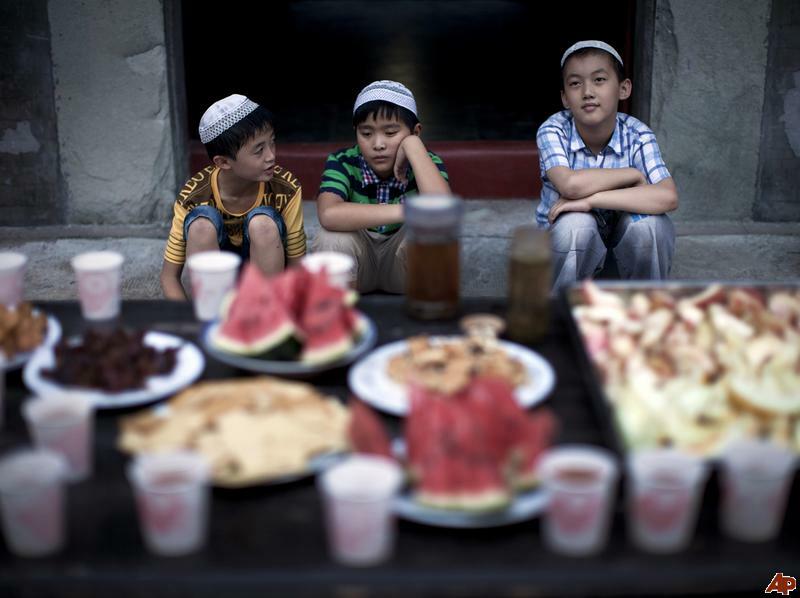 In fact, the BBC recently reported that the Chinese government has banned Muslim officials, teachers and youth in East Turkestan (Xinjiang) from fasting in Ramadan, and has limited visits to mosques. 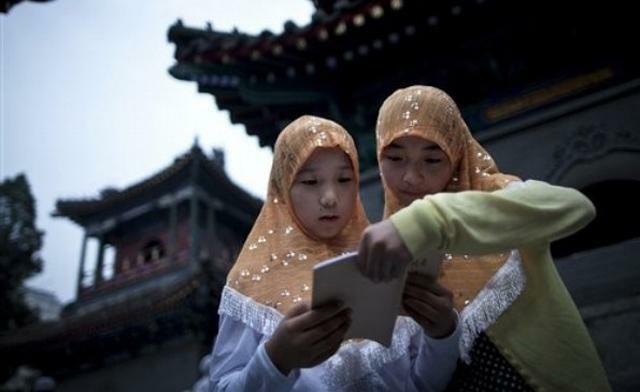 Two Muslim Chinese girls reading a book of prayers. 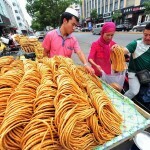 A Muslim vendor in East Turkestan, China. 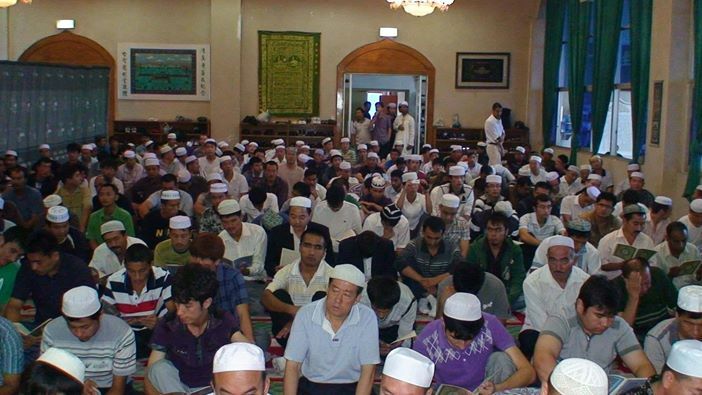 Chinese Muslims waiting for Iftar time. Muslim boys waiting for Iftar. 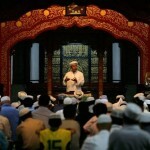 An Imam gives the khutbah in Ramadan. 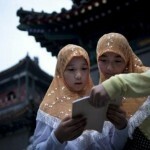 Muslim school children in China. 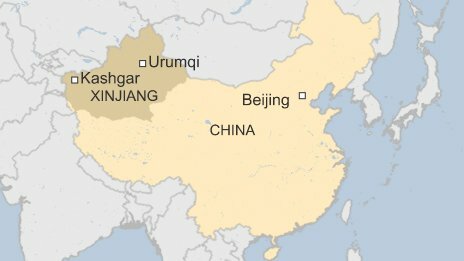 China is cold at this time of year. A moment of tenderness between mother and daughter. 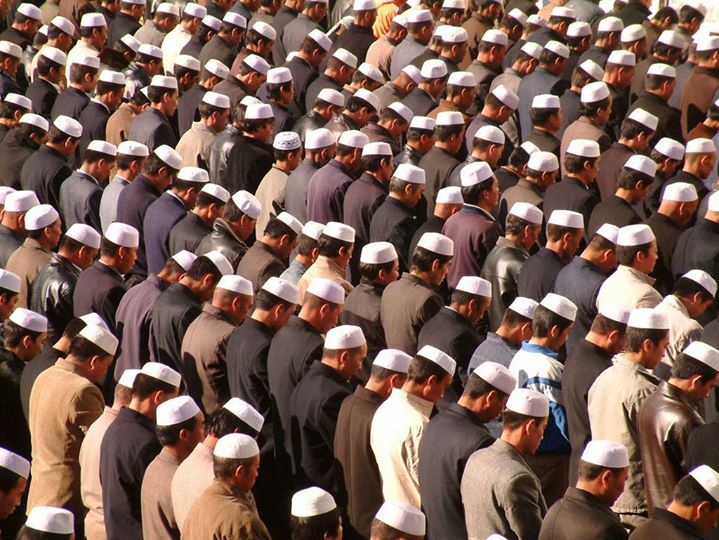 Chinese Muslims stand in prayer in Ramadan. 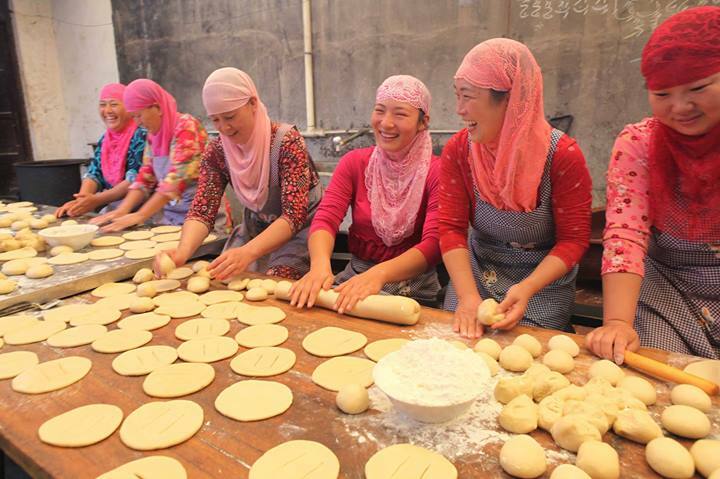 Muslim women preparing a kind of frybread for Iftar. A Muslim sister at a masjid in Beijing prepares iftar. 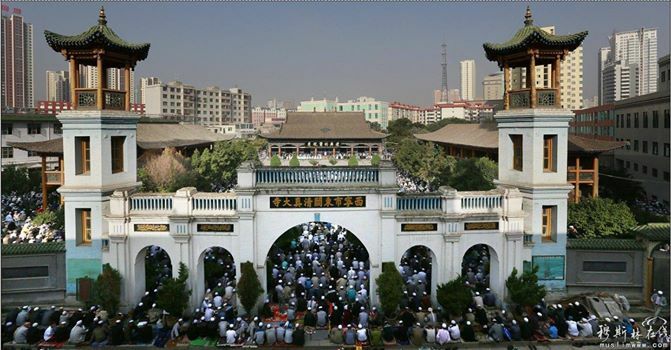 A masjid in Ningbo, China during Ramadan. 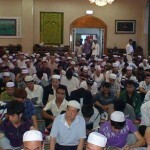 Visiting the masjid in Ramadan. 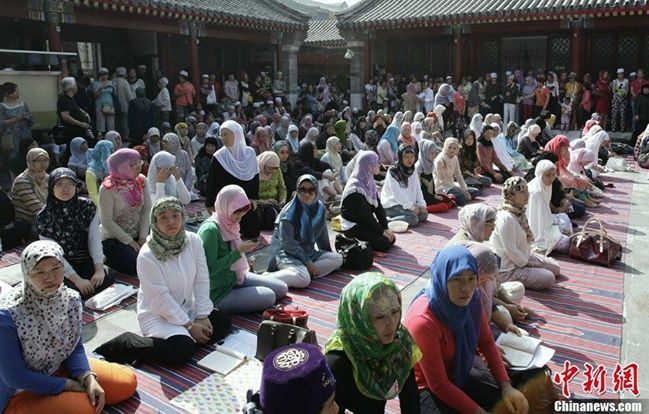 Muslim sisters in Shanghai during Ramadan. 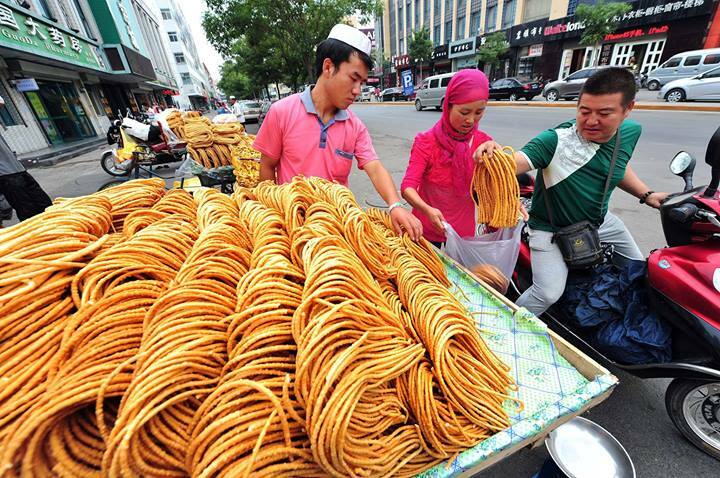 A crispy snack called sanzi, made by Chinese Muslims. 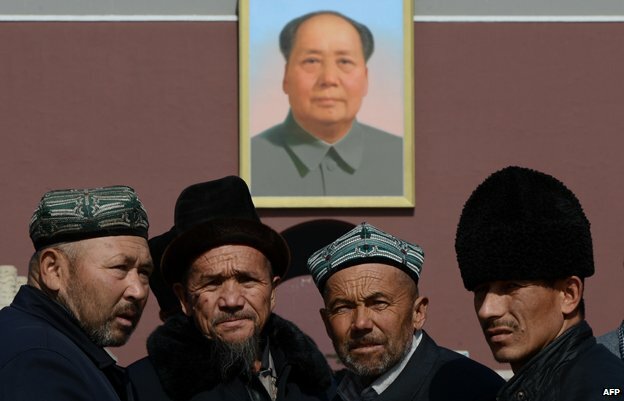 Uighur Muslims in front of a portrait of the Chinese president. 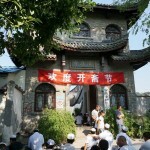 A masjid in Xining, capital of Qinghai province. 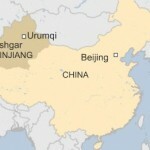 Xinjiang is a Muslim-majority province in western China. 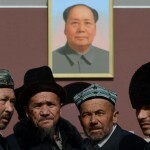 Muslims there have been persecuted by the Communist government. Ramadan Mubarak, brothers and sisters! 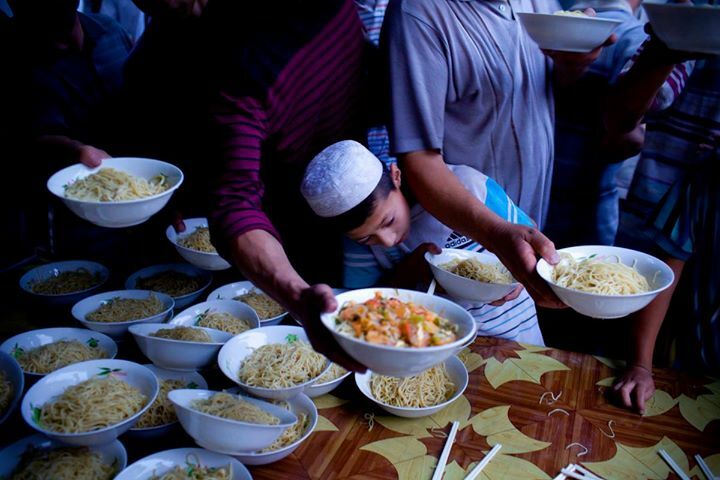 Alhamdulillah, the holy month of Ramadan has arrived. It’s a time when we strive to purify our hearts and renew our intentions in every aspect of our lives, bringing our lives into the service of Allah the Most High. To grow closer to Allah Subhanahu wa Ta’ala. To become more steadfast in my salat. To be more patient with my daughter, especially when she is difficult. To assume good intentions on the part of others. Not to be suspicious or to think the worst of the people I love. These are some of the issues that I struggle with in life. Ramadan presents me with a special opportunity to work on them, Alhamdulillah. 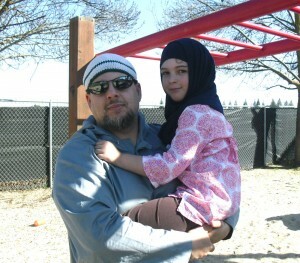 Please make dua’ for me and for my daughter Salma. She is seven years old and will be eight next month, Insha’Allah. Alhamdulillah she is an intelligent, playful and loving child. But I’m a single parent, and sometimes I feel like it’s a struggle to raise Salma as a good Muslim. I do my best. But it’s hard. The good part is that I believe in Allah, and I regard Him as a Merciful, Forgiving and Loving God. I believe that Allah wants good for all people. He gives us the tools and abilities we need to make this world beautiful. The rest is up to us. Ramadan is a gift. It’s a special tool in our toolbag, that allows us to transform the world – for one month at least – into a place of worship and light. 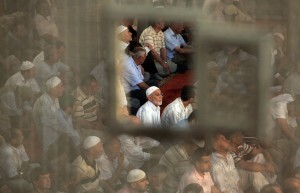 The first Ramadan fast is exciting. 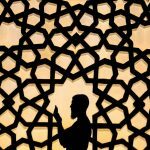 The experience is much more exciting for men and women who have just converted to Islam and are beginning their first fasting experience in their 40’s. What do new Muslims say about Islam and Ramadan? 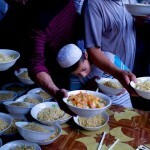 How did they perceive Ramadan before their conversion to Islam? 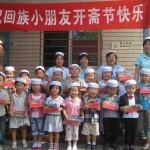 What are their feelings now that they have become Muslims? I USED to make fun of Ramadan and the notion of Islamic fasting. 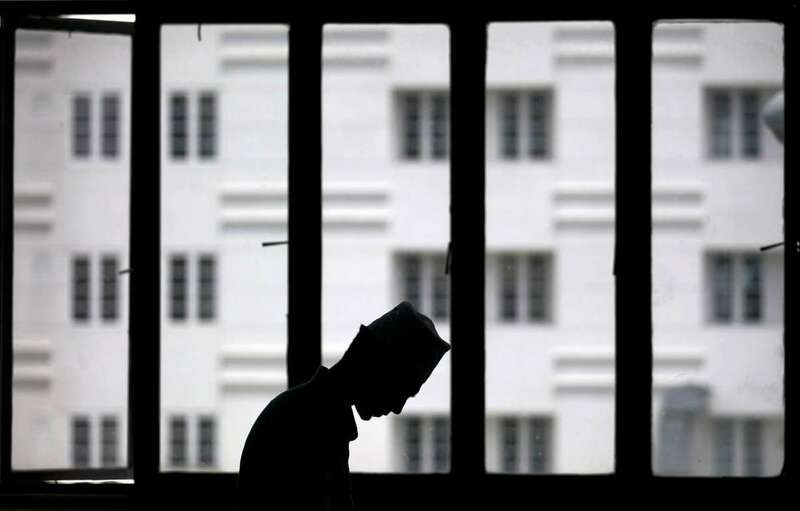 I used to ridicule those Muslims who torture their bodies by fasting,” said Marcos-now-turned-Ahmed Moamen, a Filipino. 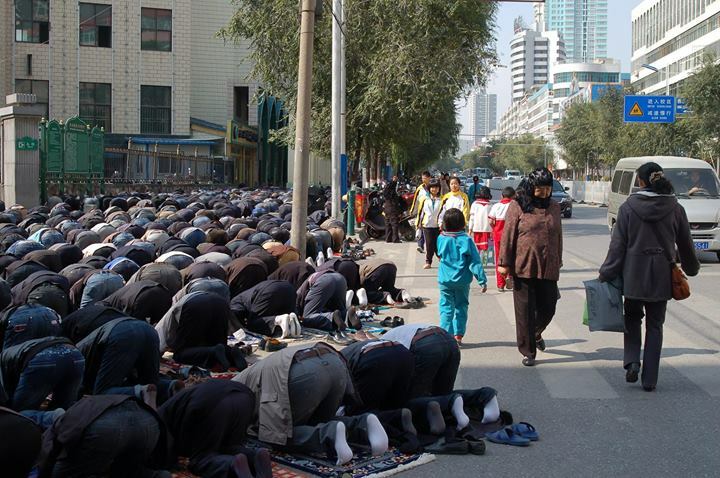 “I lived in the UAE for nine years as a traditional Christian who irregularly goes to Church. 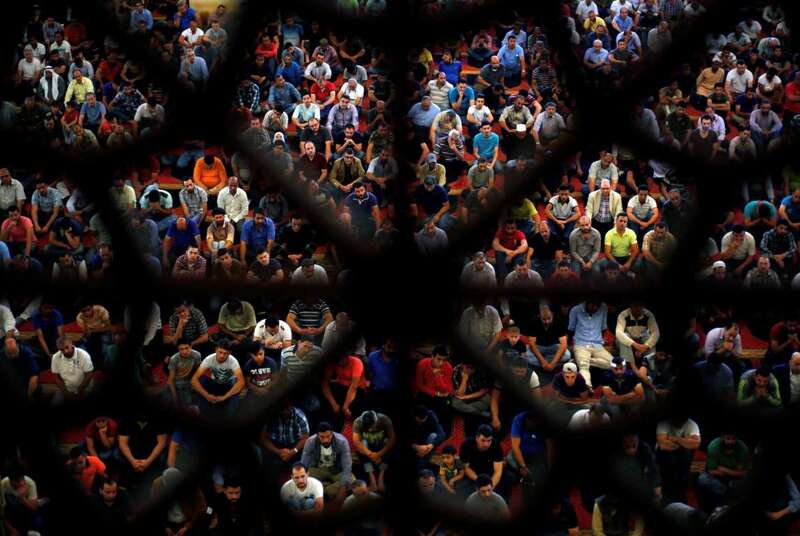 For me and my colleagues, Ramadan was a nightmare. 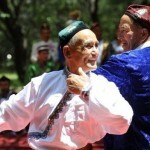 It was a month in which we were all confined to our homes as all bars remain shut,” he recalled. 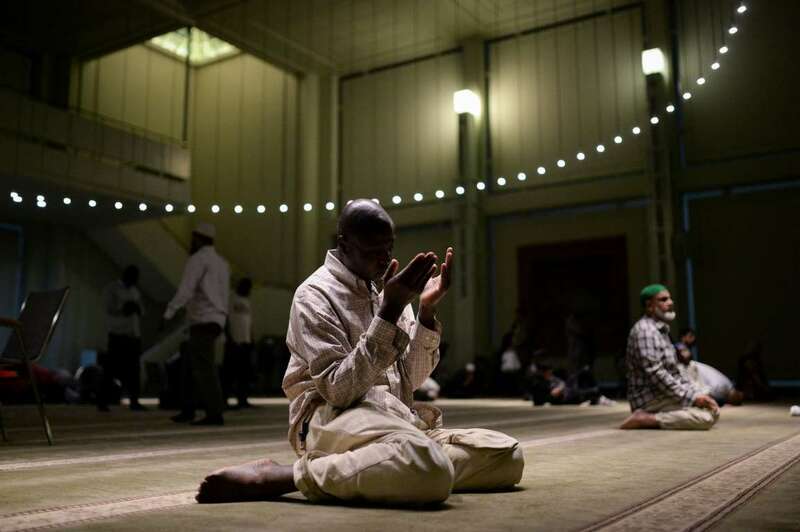 “The Almighty Allah guided me to Islam,” Moamen continued. 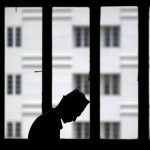 “I had a long time roommate, who once converted to Islam, tried hard to lure me into it. He used to discuss Islam and gave me some translated books about the faith until the Almighty finally opened up my heart. 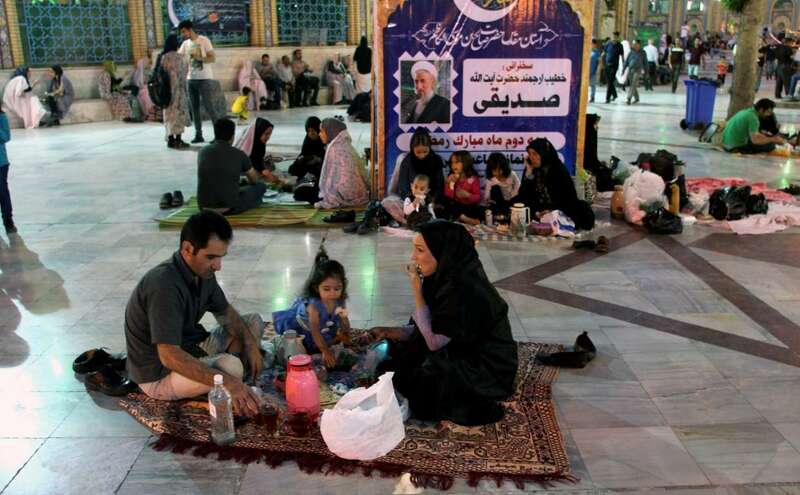 And here I am having my very first fasting experience in Ramadan,” Moamen said. 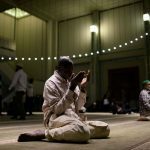 “After Allah guided me to Islam and after having fasted several days of Ramadan, I found out that all my previous ideas about the rights of one’s body were not true and that straightening our bodies once a year is of great wisdom. 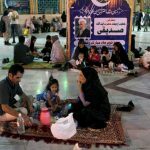 That is why Allah ordered us to fast one month of the year and not the whole year,” said Moamen of his new spiritual experience with Ramadan. 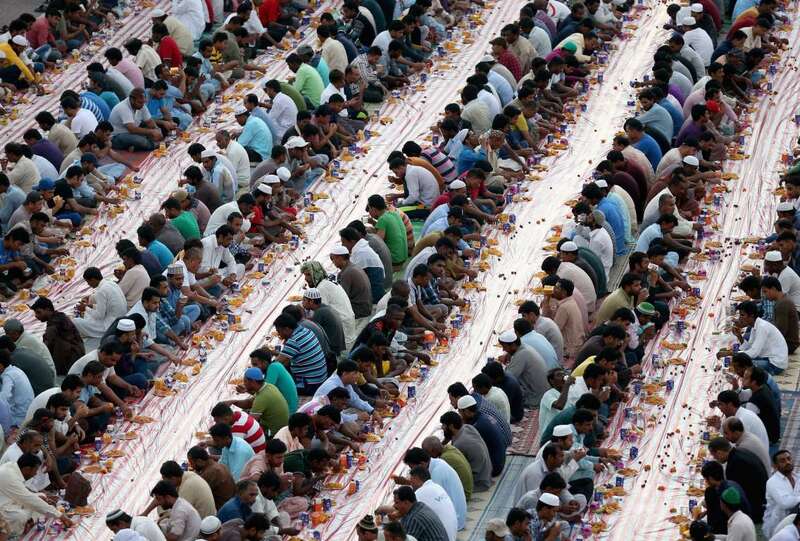 “It [fasting] brings the Muslim closer to Allah. I do not exaggerate if I say that I feel a serenity I have never before felt in my entire life,” Moamen concluded. 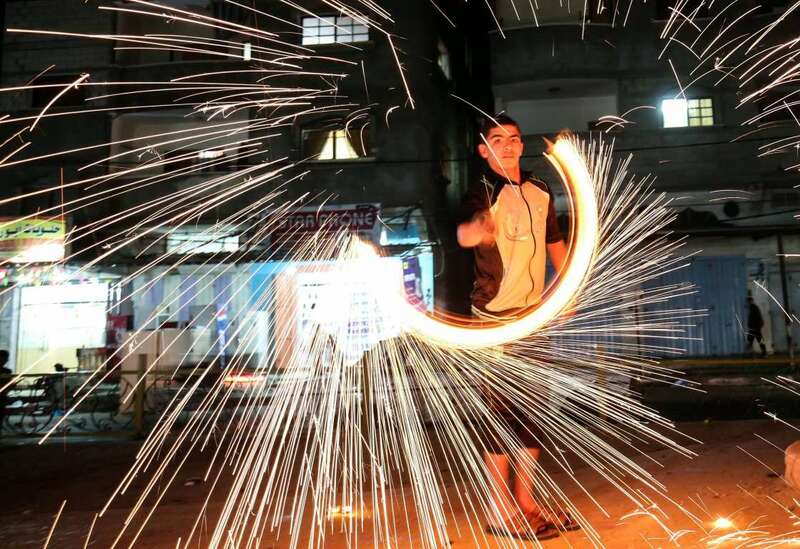 Abdul-Rahman Yousef, a Lebanese who was named Tony before embracing Islam also experienced his first Ramadan. Sounding delighted about the new fasting experience, Yousef said he was overwhelmed by joy and that fasting helped him feel the serenity that only fasters enjoy. 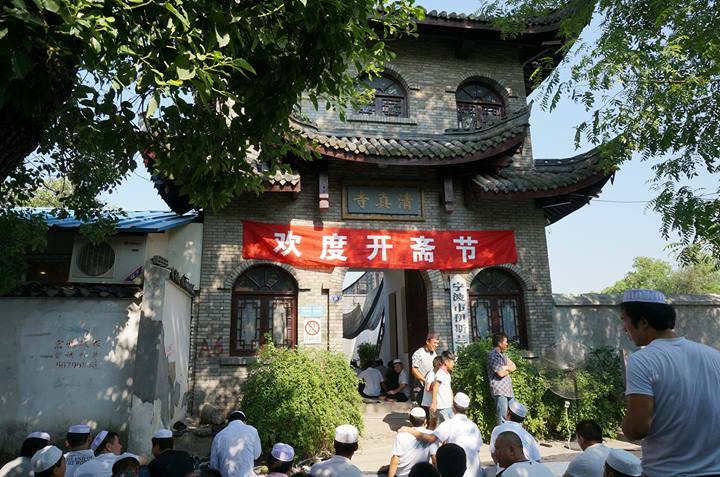 “Ever since Allah guided me to Islam, I’ve become used to the habit of fasting every Monday and Thursday [following in the footstep of Prophet Muhammad (peace be upon him) to make up for my sins which I committed before Islam,” he said. 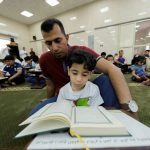 “But, fasting in Ramadan is a totally different experience because the holy month has its own sense of spirituality and serenity that is absent from other days and months,” Yousef asserted. 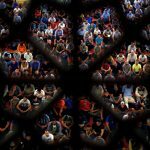 “Even prayers in Ramadan are different from the usual prayers,” he said, adding that Allah magnifies the good deeds of Muslims in Ramadan and spares them from Hell. 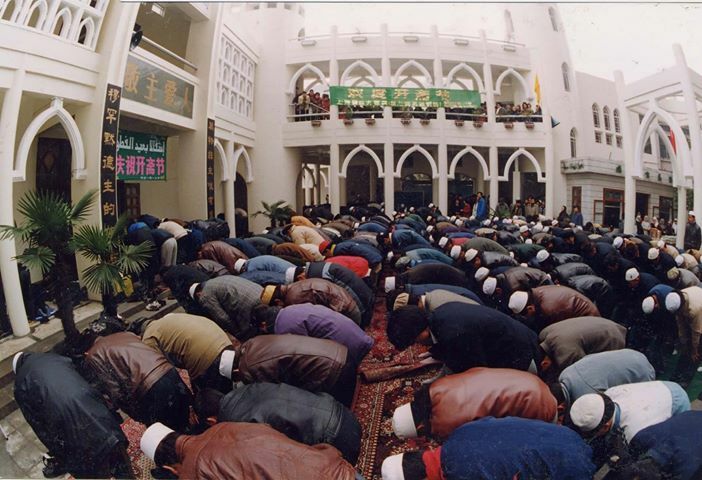 Yousef lamented having wronged Islam and Muslims in the past, especially during the civil war in Lebanon, and prayed to Allah the Almighty to forgive his previous bad deeds. Carol Anoi was brought up in a Protestant Scottish family. 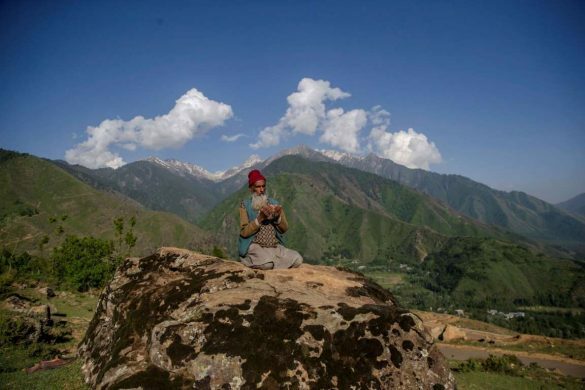 She spent her childhood in the countryside which gave her a chance for contemplation and meditation. After she finished school in London, she got a job in a UAE hotel and spent several years there until she got involved with an Arab Muslim. “I loved him so much and he started talking to me about Islam. I began with him a search journey. We read most of the books on Islam in English,” said Carol-turned-Fatma Al-Zahra Mohammad (the name of one of Prophet Muhammad’s daughters). 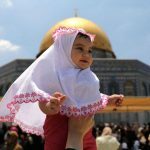 “I realized that Islam is the right faith that dignified the human being and catered for the rights of man, woman and child,” she stressed. 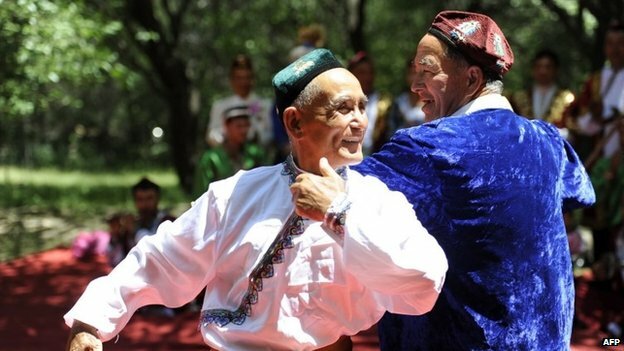 “I found it a religion in harmony with human nature,” Fatma said. “When I read the holy Qur’an, I found answers to all questions haunting my mind and soul. 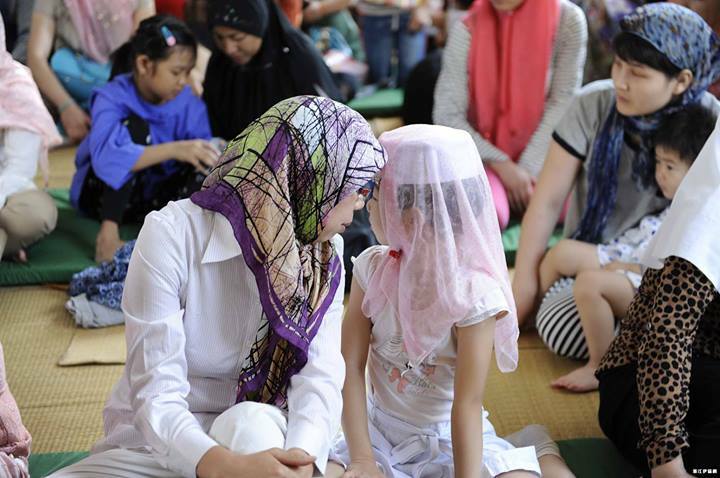 Eventually, I converted to Islam and we (she and her Arab Muslim friend) got married,” she recalled. 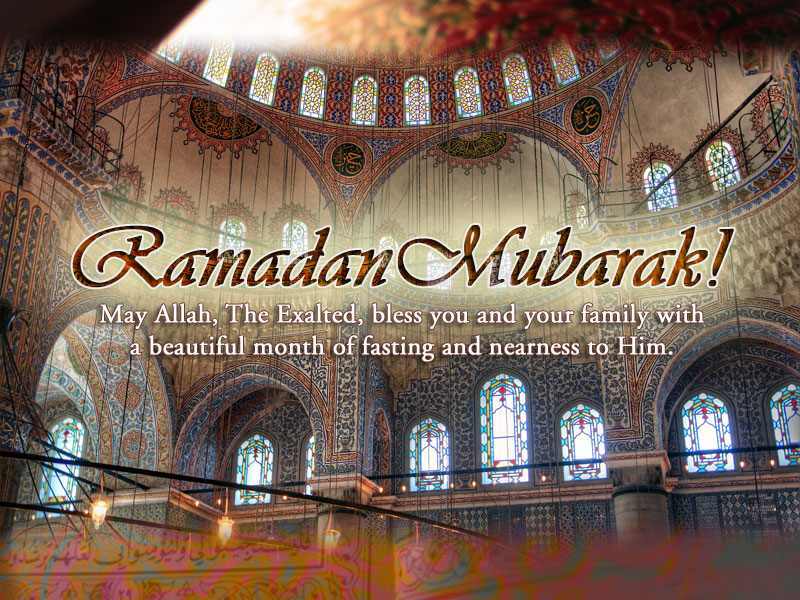 “As for Ramadan, I cannot describe to you how delighted I am to fast Ramadan this year. “Ramadan’s atmosphere makes us feel closer to Allah. 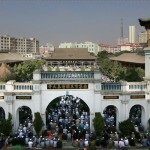 And since it is a month of worship, we are keen on getting closer to the Almighty through prayers,” Fatma added. 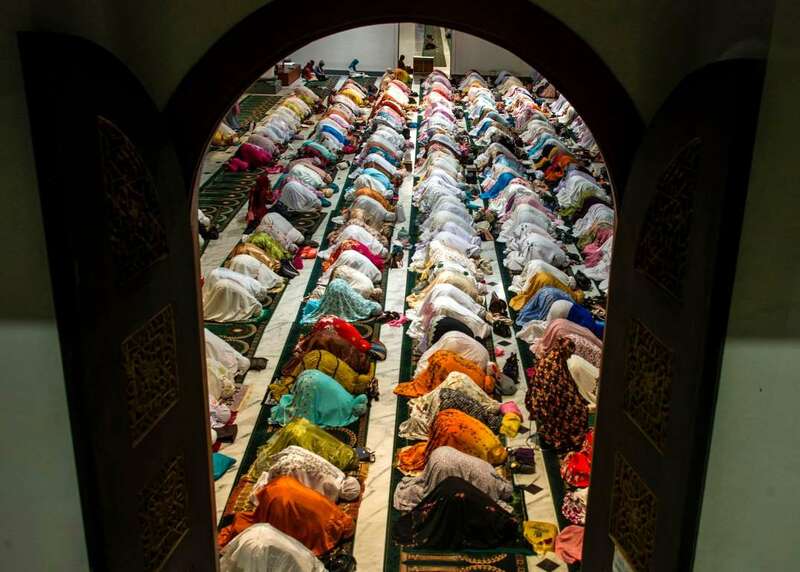 “I cannot describe my happiness while performing Tarawih prayers with many other Muslim women,” she said, lamenting that in ordinary days one would not find so many worshipers in prayers. 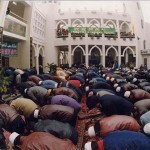 Amnah Jordon, once Caroline Jordon, from South Africa said it was that unique peace reflected in the body movements during prayers that attracted her to Islam in the first place. 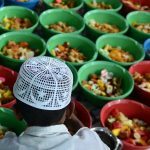 “Fasting is a fine way of spiritual and psychological elevation and these were the things that guided my way into Islam,” said Amnah. 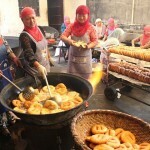 “Fasting and Ramadan are the most joyful religious rituals and the closest to my heart,” she added. 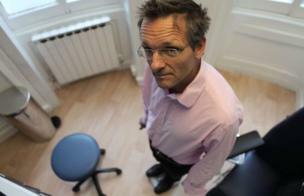 “I spent years of my life searching for a way for spiritual satiety. I adored contemplation sessions and read a lot in oriental philosophy but never reached satisfaction,” she underlined. “I completed my study in the UAE and happened to live by some Muslim neighbors who always performed their prayers by the book. 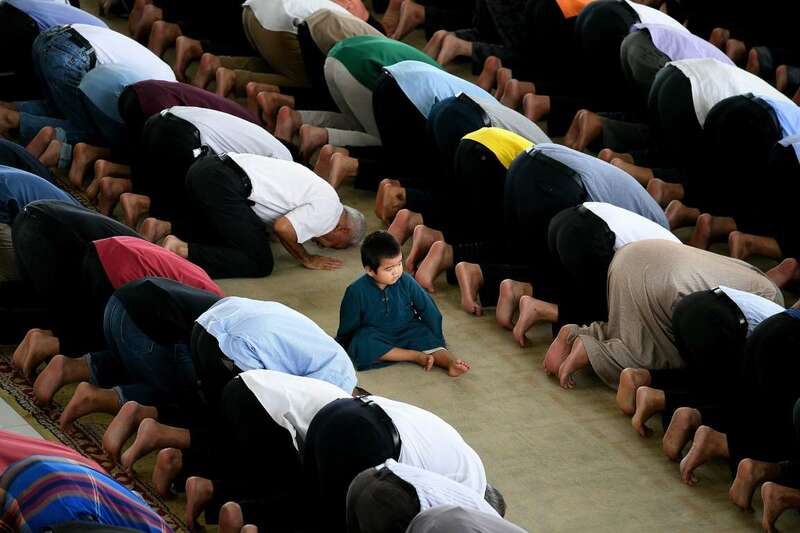 “I used to sit and watch their Rukou’a [kneeling] and Sujoud [the position when a Muslim worshiper’s head touches the ground during prayers] and it was very touching because Rukou’a and Sujoud are magnificent body and spiritual sport,” Amnah said. She recalled performing prayers and practicing Rukou’a and Sujoud even before converting to Islam. 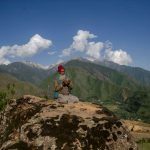 “I felt a kind of serenity I have never experienced before, and since that very moment I began a quest to explore Islam until Allah guided me into becoming a Muslim and I was overwhelmed by spiritual peace,” Amnah concluded. 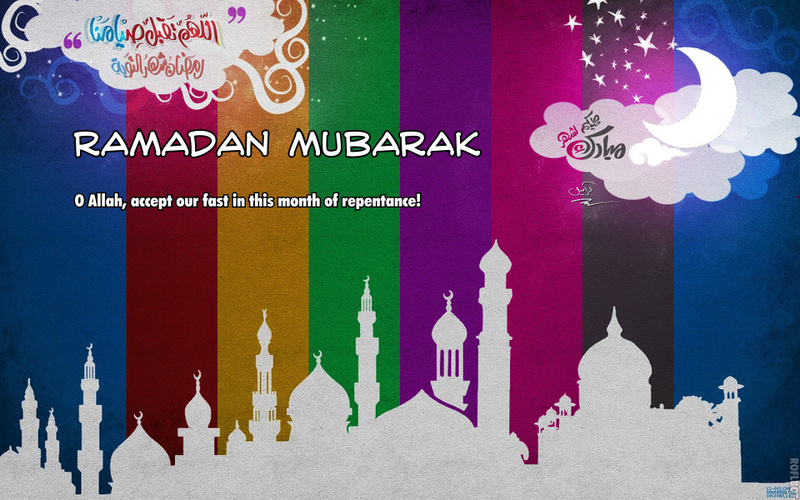 Ramadan Announcement 2013 / 1434 AH – Ramadan Mubarak! and Eid ul-Fitr on Sunday, August 19, insha’Allah. The Astronomical New Moon is on July 8, 2013 (Monday) at 7:14 Universal Time (10:14 a.m. Makkah time). Sunset at Makkah on July 8 is at 7:07 p.m., while moonset is at 7:08 p.m. Moon is born before sunset in Makkah and moonset is after sunset. Therefore first day of Ramadan is Tuesday, July 9, insha’Allah. First Tarawih prayer will be on Monday night. The Astronomical New Moon is on August 6, 2013 (Tuesday) at 21:51 Universal Time. (12:51 a.m. on August 7, Makkah time). On Tuesday, August 6, sunset at Makkah is 6:57 p.m. and moonset is 6:29 p.m. Moon is born after sunset in Makkah and moon sets before sunset. On Wednesday, August 7, sunset at Makkah is 6:56 p.m. and moonset is at 7:07 p.m. Moon is born before sunset, while moonset is after sunset. 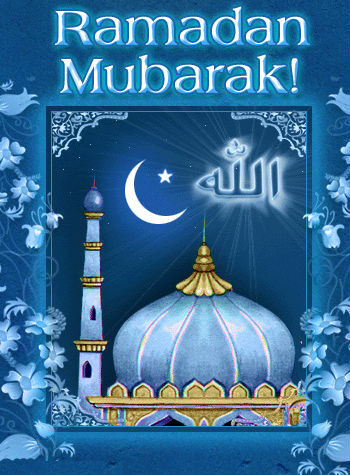 Therefore, first day of Shawwal, i.e., Eid ul-Fitr is Thursday, August 8, insha’Allah. May Allah (swt) keep us on the right path, and accept our fasting and prayers. Ameen. Hyderabad: During Ramadan, shopping for Eid in the walled quarter of Hyderabad does not end with the night. 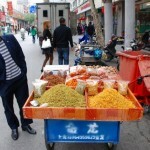 In fact, it picks up at night with the centuries-old markets doing business round-the-clock. As such, with only a couple of days left for Eid-ul-Fitr, marking the culmination of the Muslim holy month of Ramadan, all roads in the city are now leading to shops, hotels, roadside eateries and the ubiquitous vendors around Charminar, the symbol of Hyderabad and the hub of Eid shopping. 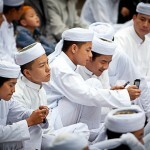 In fact, the old city and some Muslim-majority areas in the central part of the city never sleep during the holy month. 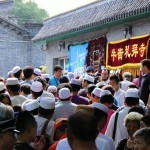 While the faithful spend the holy nights in prayers, other men, women and children throng the markets for Eid shopping. As one crosses the Musi river to enter the old city, the aroma of haleem (a Ramadan dish of meat, wheat flour, spices and ghee) wafts in. 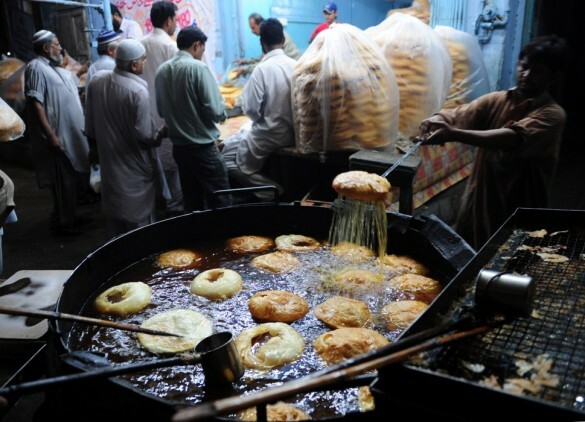 The numerous hotels at Madina Junction and on the High Court Road do brisk business selling haleem, said to have come to Hyderabad via Iran and Afghanistan during the Mughal period. The Madina-Charminar road, notorious for its traffic chaos throughout the day, is witnessing jams throughout the night these days, with vendors occupying the footpaths and selling from garments to hairpin. 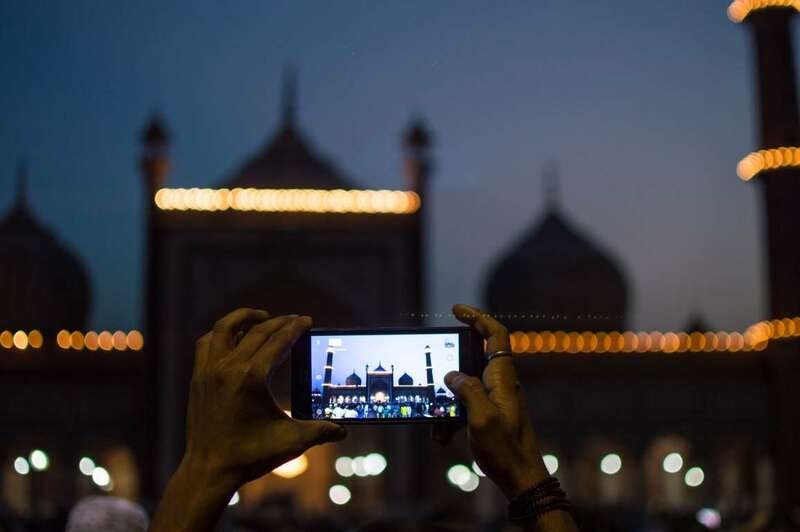 Madina, Patthargatti, Patel Market, Gulzar Houz and Laad Bazar — famous for readymade garments, textiles, footwear, jewellery, pearls, bangles, ‘attar’ (natural perfumes) and crockery, cutlery, upholstery – teem with thousands of buyers. 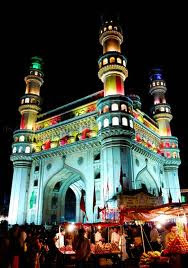 The city authorities may be planning to open a night bazaar around Charminar for long, but every year during Ramadan, the area by itself turns into a night bazaar, especially in the last 10 days of Ramadan. 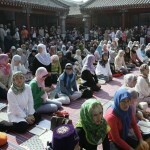 Those fasting, including women, take a break from shopping to end their fast in the lawns of the historic Mecca Masjid. After tasting haleem, dahi bade and other delicacies at nearby eateries, they resume the shopping with fresh energy and this goes on till late into the night. 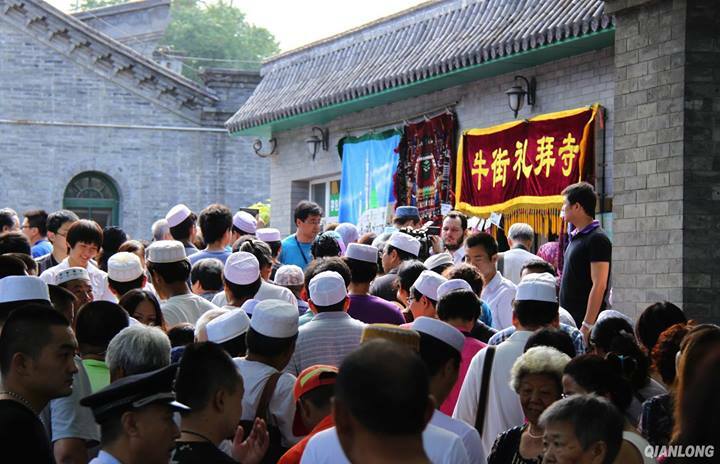 The price hike has not dampened the spirits of Eid. “We may have to spend a few bucks more, but we can’t do without shopping for our families, especially as the occasion comes once a year,” said Syed Yousuf, who works in a private company. The prices of readymade garments have gone up by over 30 percent this year and the traders attribute it mainly to rising transport costs. “Last year, I bought a dress for Rs.5,000 but this year, it cost me Rs.7,000,” said Shaheda Parveen, a student. 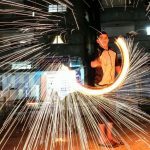 While many glittering and sprawling shopping malls have come up in the city in the last few years, the area around Charminar remains the hot favourite for Eid shopping. Shoppers from neighbouring districts and even from Maharashtra and Karnataka pour in for shopping. Almost all the families buy new clothes, footwear and bangles for the occasion. 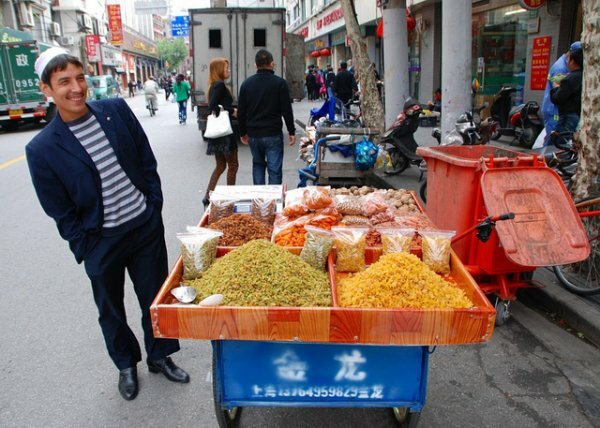 What makes these markets so special is the fact that they cater to all sections of society. 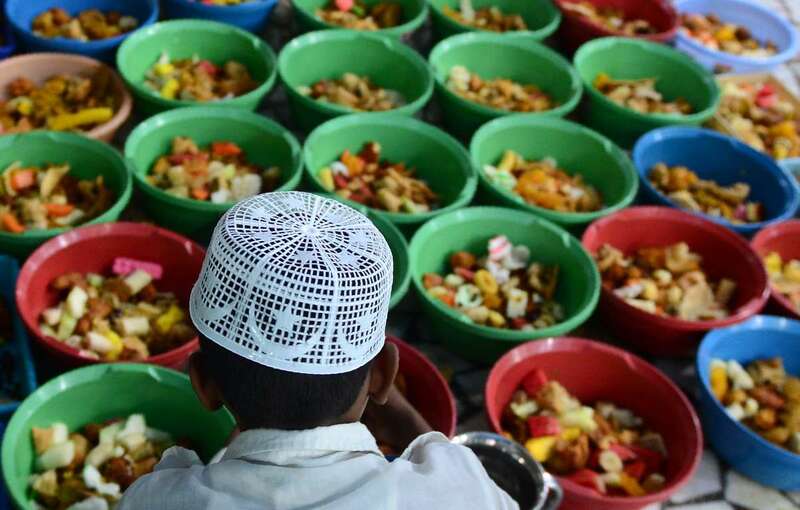 With well-to-do families paying ‘zakat’ (Islamic wealth tax of 2.5 percent on their cash and other valuables) and every man who fasts paying ‘fitra’ (fixed this year at Rs.60), the poor also join the festivities by buying clothes, ‘sweyian’, dry fruits and other items for ‘sheer khorma’ — a sweet dish prepared in almost every houshold on Eid. 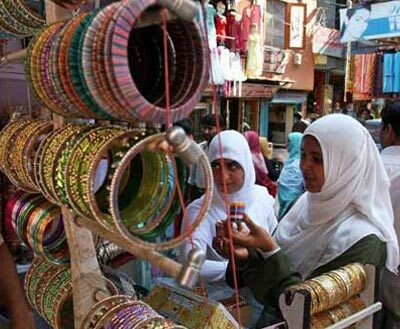 The Eid shopping is the climax of unprecedented month-long economic activity. Truckloads of dates, preferred for breaking fasts, and fruits are sold every day. 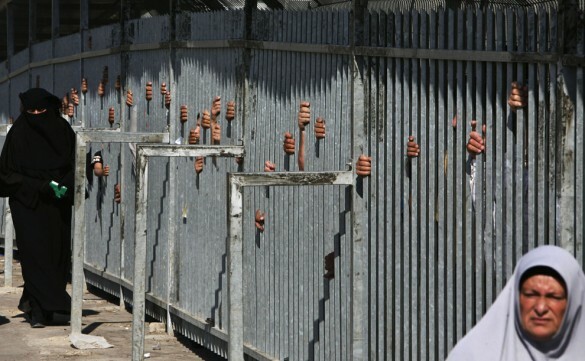 The meat supply goes up drastically to meet the demand from hotels preparing haleem. 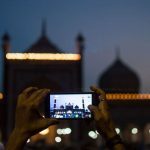 With Muslims accounting for 40 percent of the city’s seven million population, every commodity associated with the festivities opens up huge business opportunities. 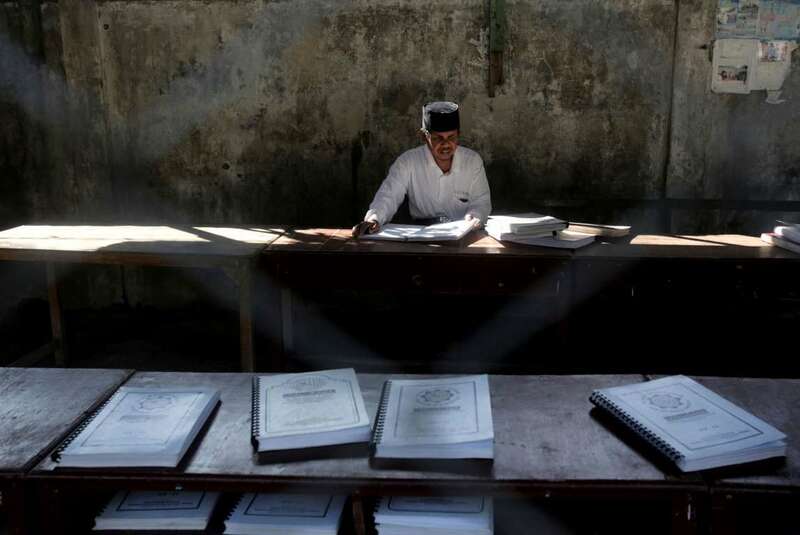 The volumes of business, mostly in the unorganised sector, are beyond anybody’s guess. The business covering eatables, garments and footwear is estimated to be over Rs.2,000 crore.